The folks at Gmail Labs have been busy and they're now dishing out offline access to Gmail. On enabling offline access, Gmail will load in your browser even if you don't have an Internet connection. You can read messages, star, label and archive them, compose new mail and messages ready to be sent will wait in your Outbox until you're online again. 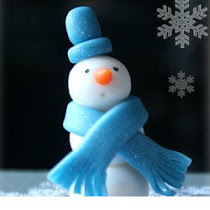 - Sign in to Gmail and click 'Settings'. - Click the 'Labs' tab and select 'Enable' next to 'Offline Gmail'. - In the upper righthand corner of your account, next to your username, there will be a new 'Offline' link. Click this link to start the offline synchronization process. Standard Edition users can follow these instructions immediately, while Premier and Education Edition users will first need their domain admins to enable Gmail Labs from the Google Apps admin control panel. LG Electronics today officially launched the LG KP500 (nicknamed Cookie) for the Indian market. Slim-profiled and lightweight, the LG KP500 comes in Vandyke brown and is complete with the latest touch technology. Anil Arora, Business Group Head, Mobile, PCs and DAV, LG Electronics India Pvt. Ltd said, "At LG, we continuously strive our best to innovate and launch world class products at affordable prices. Extending the touch generation phones from LG, we launched the LG-KP500 which is packed with dynamic features like sophisticated design; convenient user interface. The LG Cookie will expand touch screen technology to many people around India. We are certain that LG Cookie will appeal to all and it will be the handset that everyone will be reaching out for." 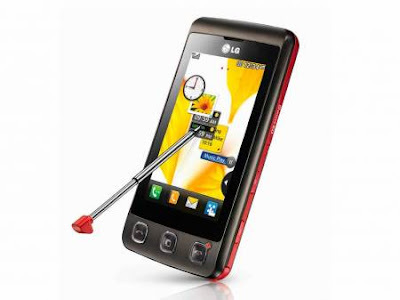 The LG KP500 has an embedded stylus pen concealed at the base for the advanced handwriting recognition program that allows the user to write memos and text messages, and also edit photo images by touching the screen with the pen tip. 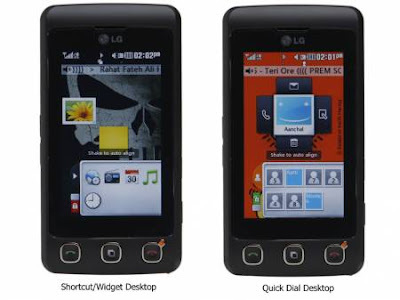 The QWERTY onscreen keyboard slides into view when the LG-KP500 is held horizontally, and the auto rotating display always shifts images or documents for proper viewing no matter which way the handset is turned. Also packed into the LG KP500 are motion sensor games that are played by turning, flipping, and shifting the handset for a more active and fun gaming experience with just a flick of your wrist. The phone packs in a 3 megapixel camera and has an internal memory of 48 MB and also bundles a 1GB micro SD card. 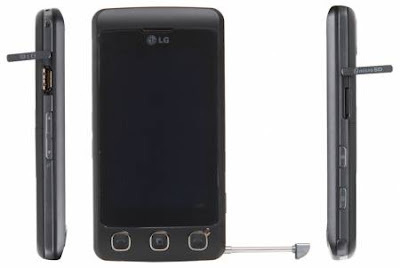 The LG-KP500 phone is 11.9 mm thick and weighs in at 89gms. The LG-KP500 is available for Rs. 13,500. I was completely taken aback when I saw the box with the pricing of this touch screen handset the LG KP500 cookie - Rs. 13,990. It amazed me that a large screen touch sensitive handset would cost so little. This could well be the cheapest totally touch screen handset on the Indian market, but what I’m sure you'd need to know is if it's still worth even that price. Let me clue you in this entry level touch screen handset. The KP500 has a large 3-inch TFT touch screen display featuring a 240 x 400 pixel, 256K color resolution. Just under the display are a set of 3 keys – Call take, end and a center shortcut menu key that can also be used as a sort of 'End task - Task Manager' option to close all active applications. The stylus is neatly concealed and located at the bottom but slides out from the side. This extremely slim handset (11.9mm) has a microSD card slot on one side followed by a screen lock key and a dedicated camera key located below that. On the opposite side is where you’ll find a proprietary port for the handsfree, charger and USB and volume/zoom keys. A 3 megapixel camera is located at the rear. That's pretty much it for the design; it's simple, slim and quite stylish. Here's how it does in functionality. Running on a Flash UI the KP500’s touch screen functionality is a bit erratic most of the time. Then again there have been times that it's been an absolute pleasure to use. Hence erratic is as accurate a term as any. The handwriting recognition would rival any Windows Mobile device and probably end up being better. The accelerometer is possibly the worst there is though and saying this was erratic would be an understatement. 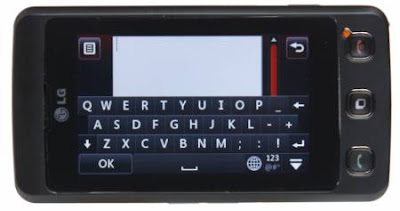 Nevertheless the KP500 sports a QWERTY style virtual keyboard when in landscape that is quite responsive and easy to manage. The desktop or rather 'desktops' are well designed with a widget pop out feature not unlike the Samsung F480's or the Omnia's . You can choose what shortcuts of your choice and also drop them onto the desktop. By flicking this desktop to the side a new one swivels around. This desktop is designed specifically for quick dialing. The widget section can store up to 8 contacts, which can of course be dropped onto the desktop. Honestly, an integration of both would have been better (one would be completely unnecessary). But it does add a certain personal feel to have two unique desktops. The flicking feature is also evident for viewing images. The menu set up is a neat division of features according to functionality. I quite like this. It's all very easily usable with just your fingers rendering the stylus redundant most of the time. The only time the stylus is handy is for drawing, handwriting as an option for writing messages and the browser that sometimes makes it a bit tricky selecting options or links from the screen. There are times when the navigation can get quite frustrating if you're using your fingers. Scrolling can sometimes be an issue as the sensitivity is not consistent and trying to insert a contact into a message is a bit off too. It could be the start of a bad year for a lot of mobile phone users. Reports are stating that within the first week of January about 25 million mobile phones could be rendered un-usable due to a security issue. The department of telecom (DoT) has told all network providers in the country to disconnect all handsets which do not have an IMEI (International Mobile Equipment Identity) number. This has been the works for awhile now due to the vast array of fakes and Chinese mobile handsets that have flooded the market in the recent months. Many of these handsets do not have IMEI numbers and considering the very recent bombings and terror attacks in the country, the government had decided that a serious clamp down is necessary. In case you're not very sure, an IMEI number is a 15 digit code that you’ll find underneath your mobile phone battery. The number is a technically a tracking system for mobile operators to know about the calls being made from the handset. This number will flash on their systems to derive further information for billing, security etc. The same reports also state that the date that this 'shut down' system would fall into place would be January 6th 2009, which is not too far away. So if you happen to be using a fake handset or one of the Chinese varieties, you might want to take a quick peek underneath your battery to look for the number or enter *#06# from your keypad. Need for Speed Series to be Discontinued? All right don’t go sobbing to your mom, since we haven’t received any official confirmation about this yet, but it seems Electronic Arts is considering axing the Need for Speed series for good. According to The Electronic Playground EA has canceled all NFS games in production after the debacle that was Need for Speed Undercover. 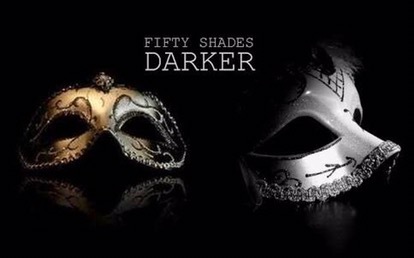 And it’s not just Undercover. Even since Most Wanted this series has been going downhill. I think Undercover just broke the camel’s back. Either way we’ll keep you updated as and when we hear any sort of official announcement from EA. Google's Friend Connect is now available in beta, seven months after its preview release. This service lets webmasters add social features to their sites by simply copying and pasting a few snippets of code - no advanced coding or technical background required. Friend Connect makes it easy for users to sign in to a website, share a bit about themselves through a personal profile, discover other people with similar interests, invite their contacts, and interact with friends, all through their existing account from Google, Yahoo, AOL, or OpenID. Users can choose to to either establish a new profile or use profiles and friend sources from other social networks that have opened up their services, like Plaxo and Orkut. Google's been working with a handful of website owners, social networks, and application developers to improve Friend Connect's speed and scalability, ease of use, and customization capabilities. They've also expanded the features available to users with more integrated profiles and new ways to discuss and share content, like including YouTube videos in comments. Websites that use Friend Connect become OpenSocial containers, capable of running applications created by the OpenSocial developer community.